Could new home secretary Sajid David be a breath of fresh air? A new campaign group has written to Sajid Javid to ask for Northamptonshire's voluntary sector to be listened to when commissioners take over the county council. Voluntary Voices, formed to provide a voice for the county's voluntary sector users, has consulted with more than 40 local organisations to identify key concerns and says it is now essential that their opinions and those of their service users are heard. The group says it wants to work in partnership with the Government-appointed commissioners and believes the lack of consultation with the sector by both the county and district councils has had an "extremely negative effect" on local groups and individuals with the greatest need. 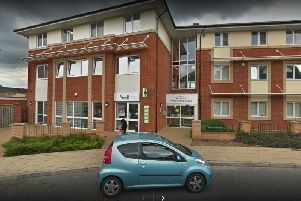 "The voluntary sector in Northamptonshire is under severe pressure," a Voluntary Voices spokesperson. "The situation at the county council means that this is a crucial time for the services we provide across the county. "We want to work in partnership with the commissioners to secure the future of the sector. We're chomping at the bit to be part of the solution and want to make sure we have a seat at the table when the commissioners come in." Last month, Mr Javid, the Secretary of State for Communities and Local Government, announced that commissioners would take over the county council and wrote to authorities in Northamptonshire inviting them to make representations about the outcome of Max Caller's inspection report. In a letter to the Secretary of State in response to this, Voluntary Voices said: "Our fundamental concerns are to ensure the proper representation of the communities, groups and individuals we serve within our county within the processes that follow the review. "This letter is sent on behalf of the combined voluntary sector of Northamptonshire following a series of meetings held to discuss the implications of the report into Northamptonshire County Council and the budget they have set; including as it does significant cuts to the voluntary sector in our county and impact on individuals and communities in great need. "The problems of Northamptonshire have been building over many years, and it’s time for root and branch change and new thinking."